Click Here for a Video Tour of our Shop! We are Sew Jersey – a 6000 Square Foot quilt boutique owned by a 4th generation quilter, in the heart of Morris County, NJ. 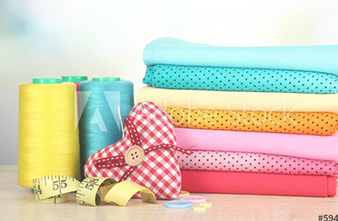 We have over 3000 bolts of fabric - including every single color of Moda Bella Solids and Moda Grunge. We are also a multi-brand Sewing Machine Dealer - Brother, Janome, BERNINA, Necchi and Elna. We have a specialty studio space where you can either shop for a Longarm, rent time on one of ours, or leave your quilt for us to complete for you. We are an Authorized Service Center and specialize in on-site machine repairs. We are conveniently located on Route 10 in East Hanover. There are several restaurants within a few hundred feet of our space - so make a day of it and come and check us out – we are Sew Jersey.